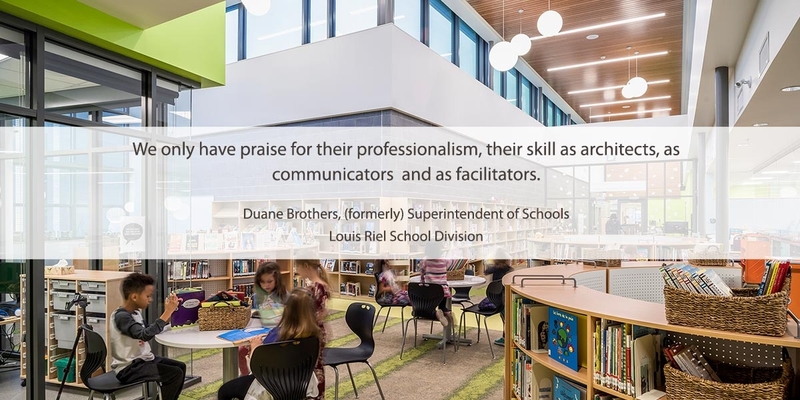 École Sage Creek School is a modern 21st century school that tells the story of a rapidly growing and diverse suburban community in south-east Winnipeg. 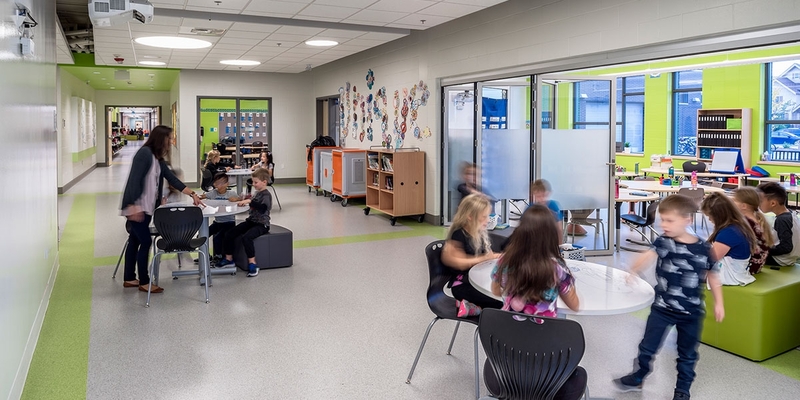 Through a collaborative integrated design process involving representation from Louis Riel School Division, Public Schools Finance Board and the Sage Creek Community, the two-storey design implements a range of progressive education delivery strategies designed to foster a safer, more inviting and inclusive learning environment. 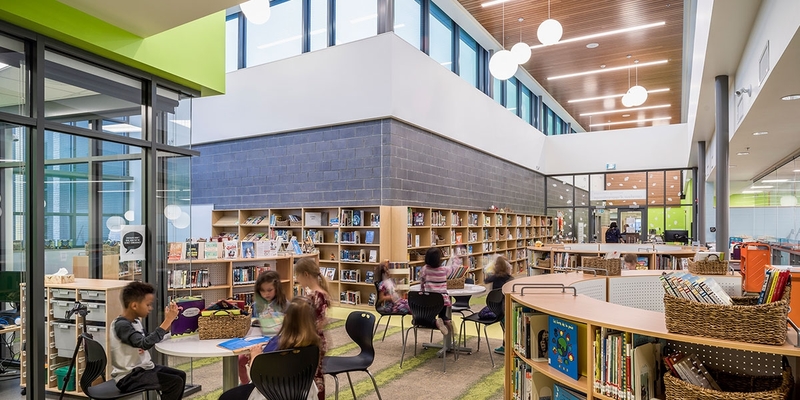 The early learning to grade 8 school is organized around the concept of personal learning communities consisting of small, flexible learning areas, classrooms and breakout spaces within larger zones delineated by age grouping. 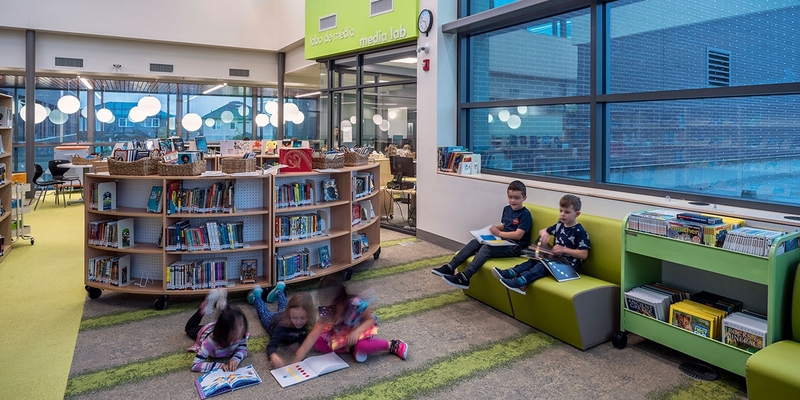 These personal learning communities flow into a central commons, with each zone containing a classroom that can expand into the commons for larger group activities. 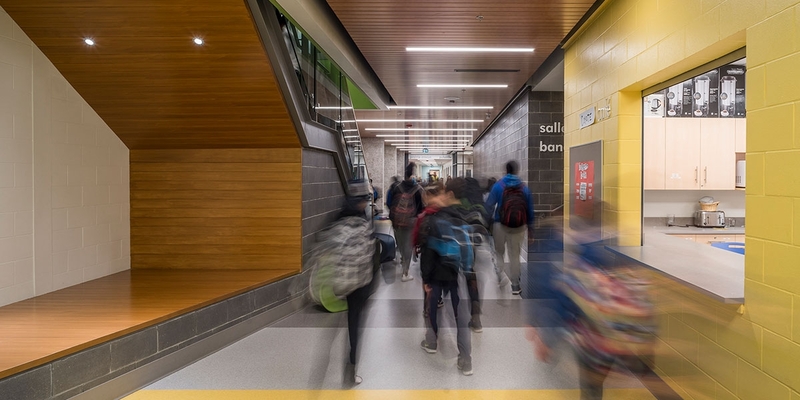 Thematically, the school draws inspiration from its site, expressed through masonry cladding composed in linear patterns symbolizing the vast textures and patterns inherent to the prairie landscape. 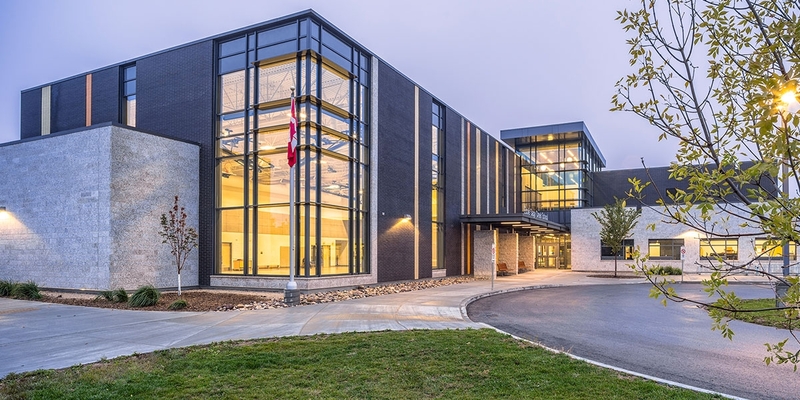 The school is also designed to accommodate a variety of community uses, and implements a range of sustainability strategies to achieve its LEED® Silver and Manitoba Hydro Power Smart environmental targets. 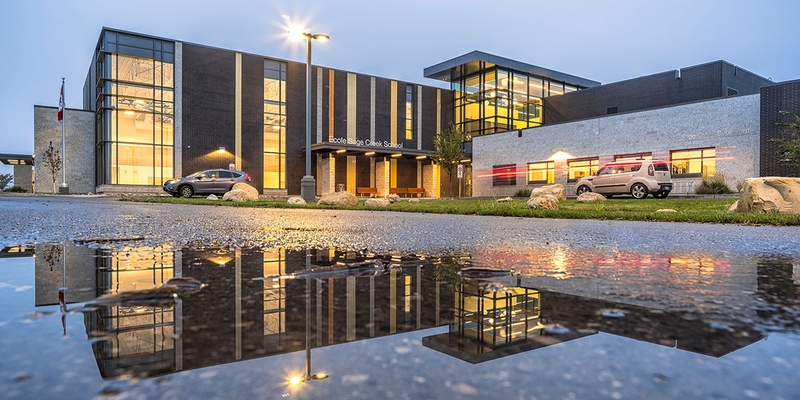 Special care was taken to ensure the architectural, landscape and civil engineering design elements respectfully and seamlessly integrate with the surrounding community context without adversely impacting traffic in the area. Project goals for the 600-student school included creating learning environments that are flexible, open and shared without sacrificing a sense of ownership in the space; incorporating a strong connection with the outdoors; achieving a quality sustainable environment that is comfortable, educational, adaptable and long lasting; developing a welcoming environment that is supportive of both the educational and greater Sage Creek communities; and supporting collaboration and integration among educators, students and disciplines through innovative design.